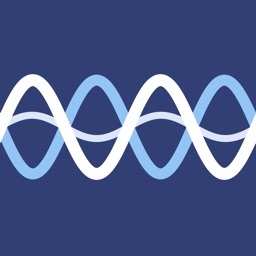 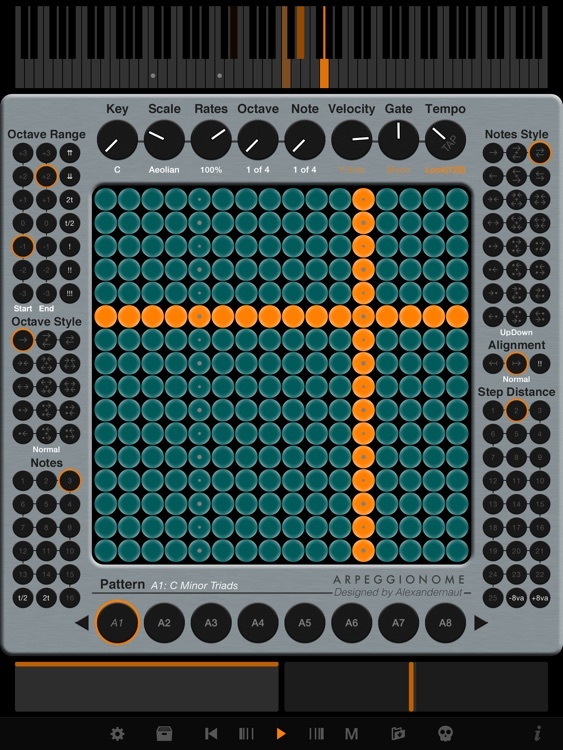 Arpeggionome is a new musical instrument designed to play arpeggios*. 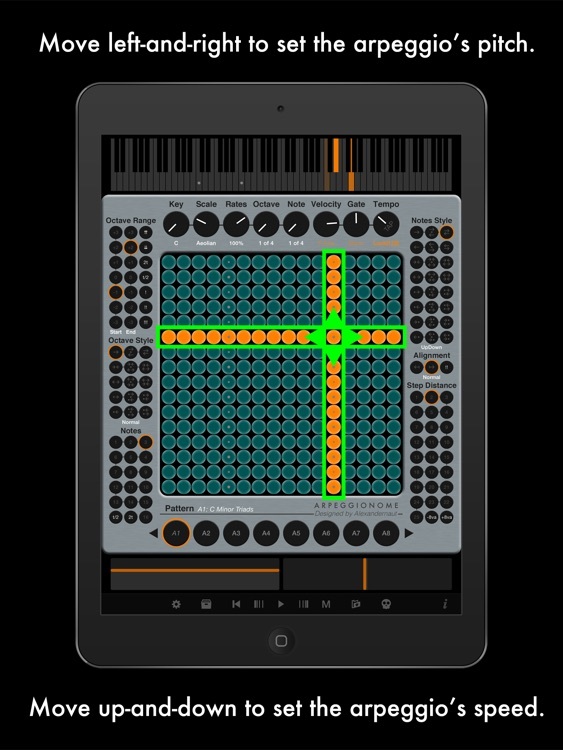 Design an arpeggio pattern with various knobs and buttons, then move up-and-down the matrix to set its speed, or left-and-right to set its pitch. 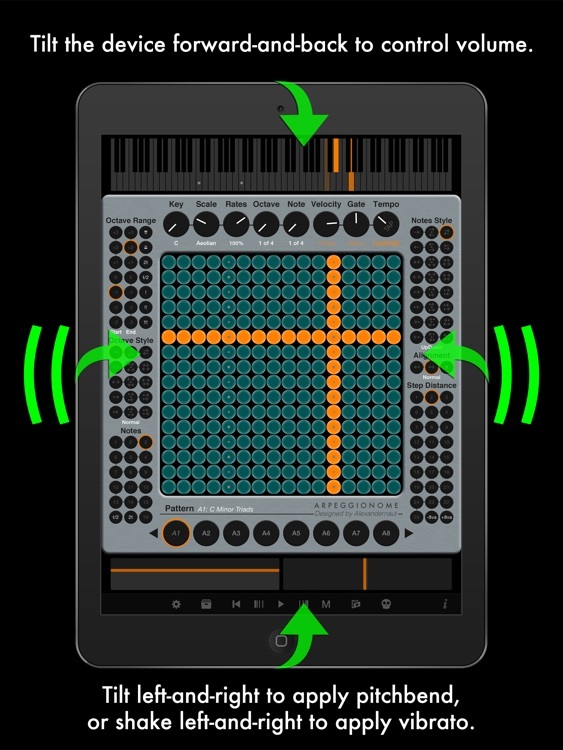 Tilt the device to control volume and pitchbend, or shake for vibrato. 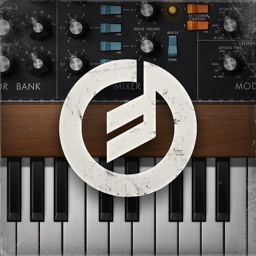 Arpeggionome Pro also features a robust MIDI implementation, allowing you to control other iOS music apps, external gear, and computer software like never before**. 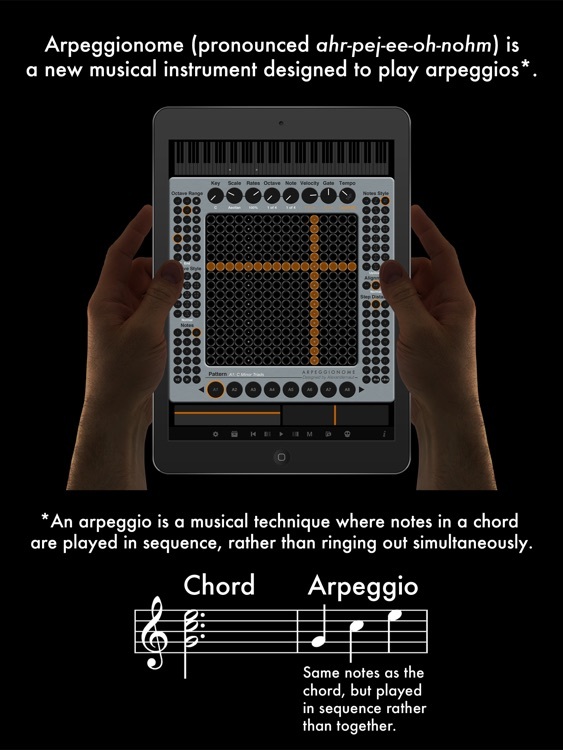 *An arpeggio is a musical technique where notes in a chord are played in sequence, rather than together. 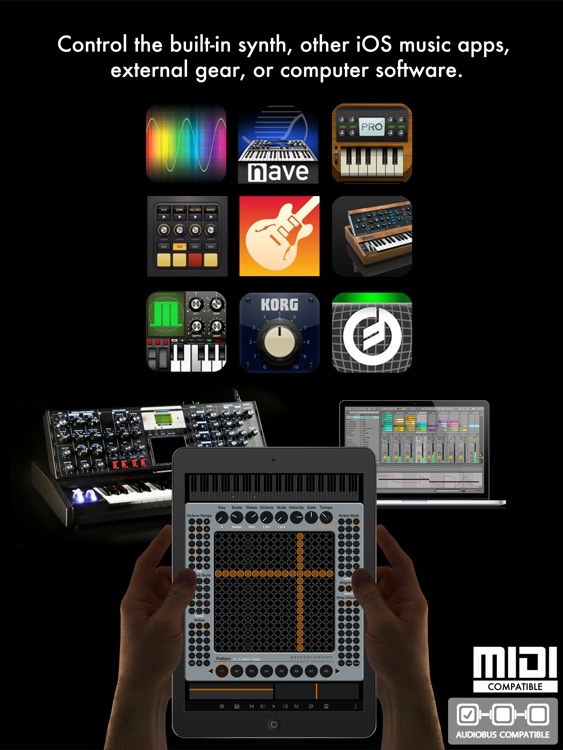 ** MIDI input and output is recommended for iPad 2 and later. 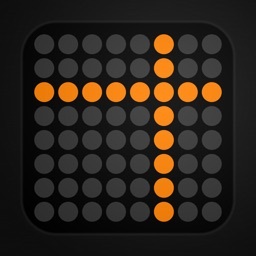 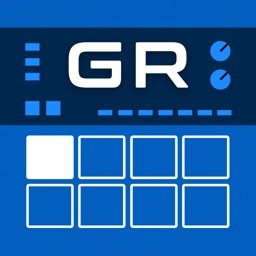 Supports MIDI, Ableton Link, Audiobus 3, and Inter-App Audio.